Click a term to refine your current search. 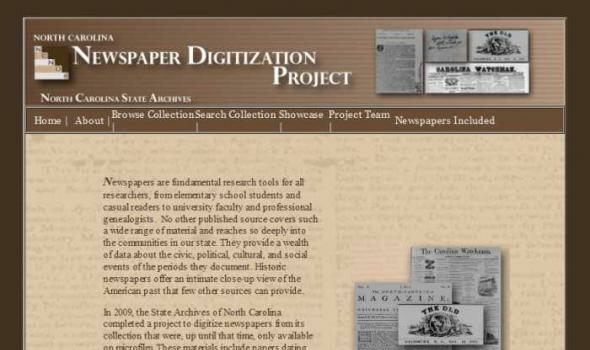 DIGITAL COLLECTIONS About the Collection The Louisville Herald-Post newspaper was created when James Buckner Brown (1872-1940) purchased the Louisville Herald and Louisville Post in January 1925 and merged them into a single newspaper. Brown, a Louisville banker and politician, sought to operate the Herald-Post as an alternative to the Louisville Times and Louisville Courier-Journal, which were both owned by the Bingham family. The Herald-Post went bankrupt in 1936. The newspaper's photo morgue was then donated to the Louisville Free Public Library where it was used extensively as a research collection before being accessioned by the University of Louisville Photographic Archives in 1994. This digitization project of these two newspapers is the first ever undertaken by the Cheng Yu Tung East Asian Library. In April 2004, the National Institute of Korean History (NIKH) approached the Library to propose the digitization of one of the East Asian Library's holdings: Minjoong Shinmoon. 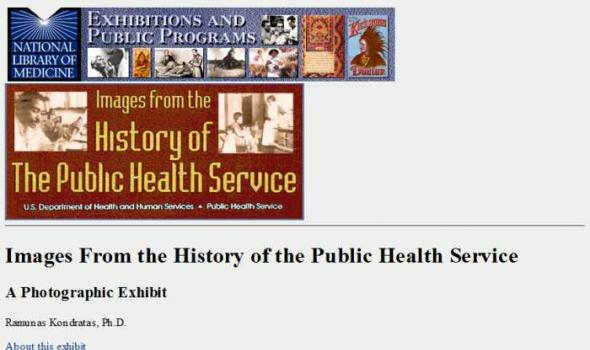 This was part of the NIKH's five-year project begun in 2001 to collect historical materials relating to Korean history published overseas. 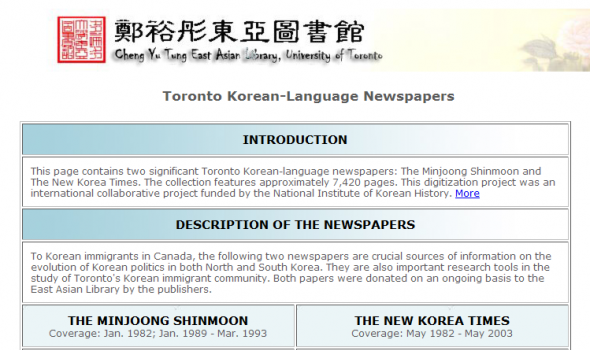 After reviewing our Korean collection, the Library also suggested including The New Korea Times in the same project. The National Institute of Korean History is a South Korean government organization responsible for investigating, collecting, and compiling historical materials. About While most research on the very early period of the reform era focuses on New England or New York City, Friend of Man illustrates that reform was thriving in Central New York as well. In this periodical, one meets a small, but vocal group of people from both races and all walks of life, intent on changing America. 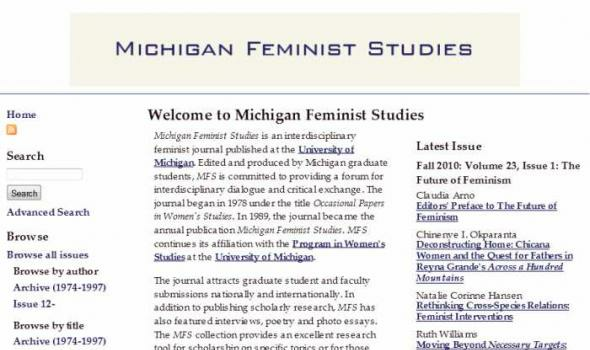 Scholars studying social reform in New York State will be interested in Friend of Man 's revelations about the regional interconnectedness of reform, especially in areas such as Utica, Rochester, Buffalo, Albany, and New York City. 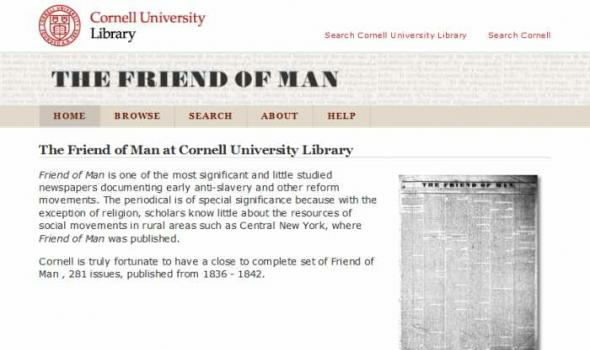 About Introduction The Cornell University Library and the Cornell Daily Sun are collaborating on an ambitious new digitization project to provide online access to the Sun's historical files. 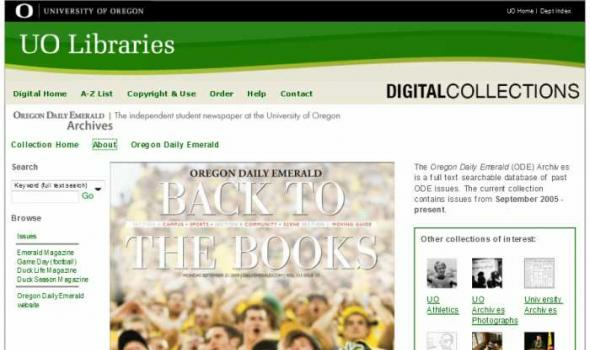 All of the original newspapers will be scanned and made available on a web site maintained by the Cornell University Library. For more than 120 years, the Sun has provided news, information, and entertainment to the entire Cornell community. Accounts of campus events and activities, sports reporting, and editorial commentary all contribute to make the Sun one of the most important sources of information on the history of the university. Yul phyogs so soʾi gsar ʾgyur me loṅ The Tibet Mirror (Tib. 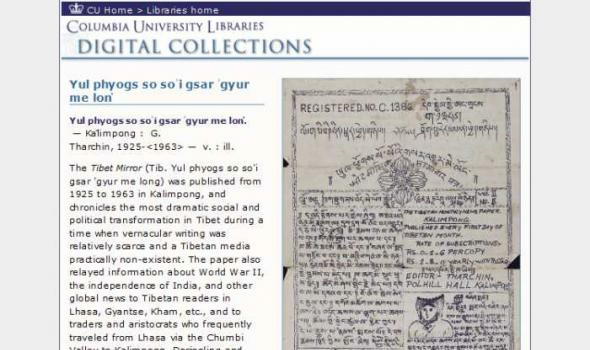 Yul phyogs so so'i gsar 'gyur me long) was published from 1925 to 1963 in Kalimpong, and chronicles the most dramatic social and political transformation in Tibet during a time when vernacular writing was relatively scarce and a Tibetan media practically non-existent. The paper also relayed information about World War II, the independence of India, and other global news to Tibetan readers in Lhasa, Gyantse, Kham, etc., and to traders and aristocrats who frequently traveled from Lhasa via the Chumbi Valley to Kalimpong, Darjeeling and Calcutta. 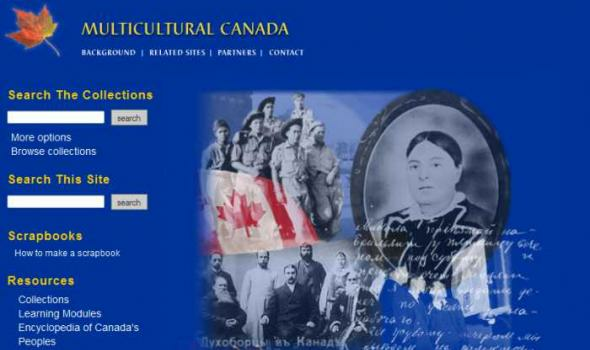 Background Multicultural Canada: Our Diverse Heritage The Multicultural Canada digitization project grew from our conviction that the cultural groups that make up our country have little-known stories that need to be researched and told. Through newspapers, interviews, photographs, print and material culture people tell us who they are. Yet research into Canada’s multi-ethnic communities has been hampered by the relative lack of availability of non-English language materials and other artefacts originating from minority groups. Archives and libraries have long worked with individuals and cultural communities in Canada to collect and preserve the historical record of their experience; but these documents are seldom available beyond the walls of the institution. The Simon Fraser University Library Editorial Cartoons Collection contains over 9300 original drawings published in Canadian newspapers between 1952 and the present. You can use the quick search form at the top of the page, or click on the advanced search if you want to limit your searches by date and or by cartoonist. 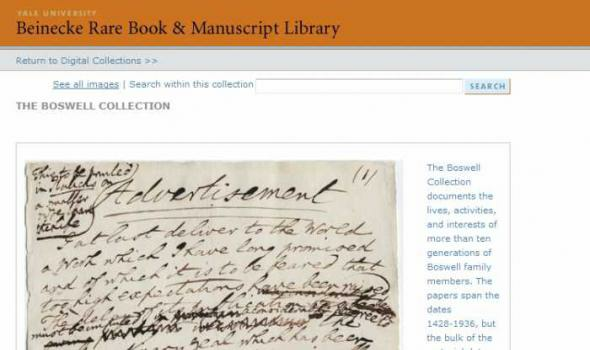 The quick search finds words in the following fields: publication information, cartoonist's name, cartoon text, subjects, and display notes. 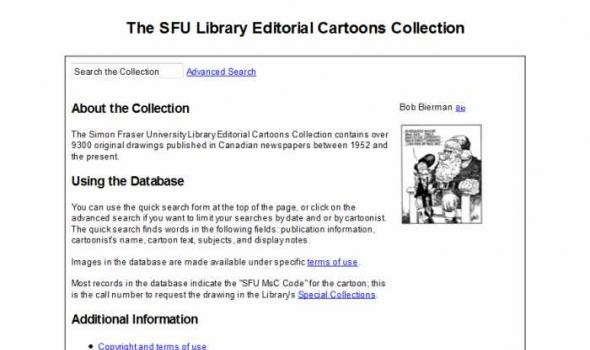 Most records in the database indicate the "SFU MsC Code" for the cartoon; this is the call number to request the drawing in the Library's Special Collections. Explore almost 1,000 years of Scotland's history via the National Library of Scotland's interactive timeline. Trace events as they happened by reading the first-hand accounts of observers, from the death of St Margaret to the opening of the new Scottish Parliament. Digital facsimiles of some of the most important documents in our collections help to illustrate the story of the shaping of the Scottish nation. 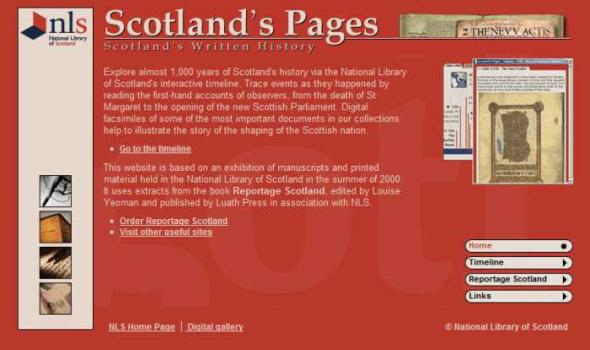 This website is based on an exhibition of manuscripts and printed material held in the National Library of Scotland in the summer of 2000. It uses extracts from the book Reportage Scotland, edited by Louise Yeoman and published by Luath Press in association with NLS. In the centuries before there were newspapers and 24-hour news channels, the general public had to rely on street literature to find out what was going on. The most popular form of this for nearly 300 years was 'broadsides' - the tabloids of their day. Sometimes pinned up on walls in houses and ale-houses, these single sheets carried public notices, news, speeches and songs that could be read (or sung) aloud. 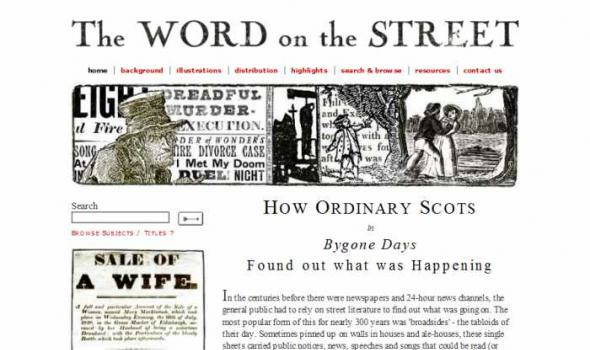 The National Library of Scotland's online collection of nearly 1,800 broadsides lets you see for yourself what 'the word on the street' was in Scotland between 1650 and 1910. Crime, politics, romance, emigration, humour, tragedy, royalty and superstitions - all these and more are here.